Dedicated to the knowledge, study and understanding of the Castro de Viladonga and Celtic world after the roman conquer. Ceramic, coins, ornaments, hunting tools and home tools ... a 3D study of some of the most significant pieces that are under the custody of the museum can be done. A video with virtual demonstrations about Castro de Viladonga appearance in ancient times and lifestyle reproduction of those times. Visit Viladonga from home with the virtual visit to the Hillfort and the virtual tour to the museum. The children's story is published "Aventura no Castro de Viladonga"
On August 21 began work on archaeological excavations in the northwestern section of the wall, following the area involved in the previous campaign. In the next few years, other areas will be used to prepare and consolidate other structures. On July 7, 20 students participating in the 2016 Summer Scientific-Technical Campus, USC Campus Terra, Lugo Campus, visited the castro and the Viladonga Museum. The Museo do Castro de Viladonga has just carry out the digitization of approximately 8,000 slides which form part of its broad documentary. 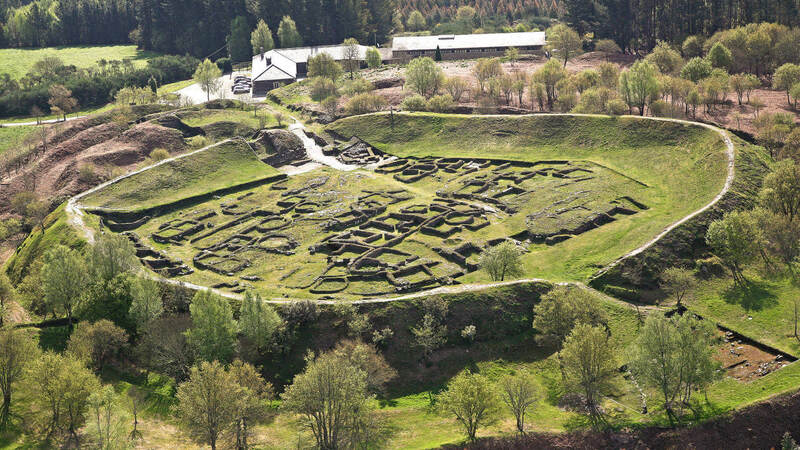 In May, the Castro do Viladonga Museum, as a center assigned by the Xunta de Galicia for the technical management of materials from the archaeological activities of the province of Lugo, was provisionally deposited with an exceptional find.